Figure 1 (which is a cartoon that I’ve shamelessly borrowed from this previous Astrobite) shows a few basic trends that emerge from this color-mass plot. There’s a “main sequence” of blue star-forming galaxies, where most galaxies lie. It’s thought that galaxies move from this main sequence to the “red and dead cloud,” made up of red galaxies that aren’t actively forming many stars. 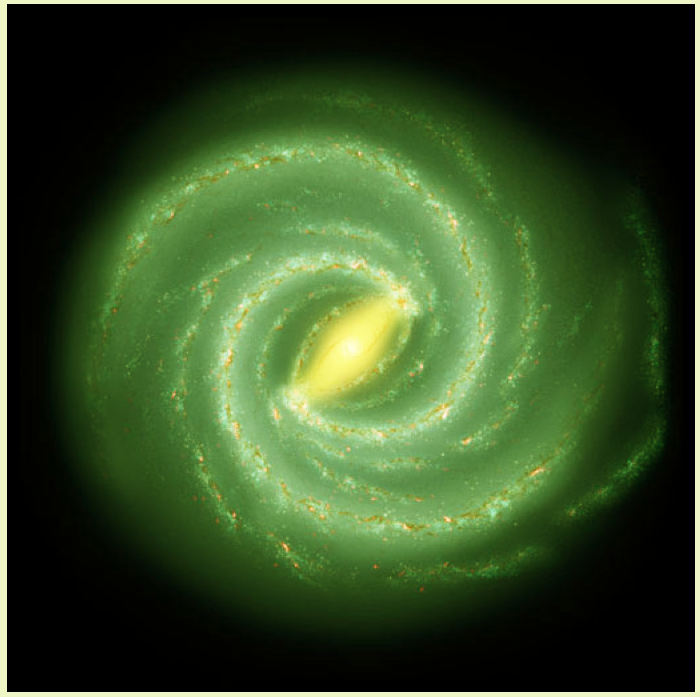 Not many galaxies are located in the region between these two areas, sometimes called the “green valley,” suggesting that galaxies don’t stay there for a very long time—so the processes that “quench” (turn off) star formation in blue galaxies must be relatively fast. These basic trends appear on the color-mass diagram in the nearby universe at z~0 (z is what astronomers call “redshift,” which is both a measure of distance and of the universe’s age). Today’s paper aims to understand the trends on the color-mass diagram at higher redshifts (z~1), when the universe was younger—less than half its current age! To address these questions, the authors first used Hubble Space Telescope images (specifically, the GOODS and CANDELS surveys) to measure the colors of about 5000 galaxies. Next, they matched the galaxy spectral energy distributions to theoretical models in order to infer their masses. Finally, they fit the galaxy images to different profile shapes to distinguish between “bulge” and “disk” galaxies. Figure 2. The color-mass diagram at z~1. 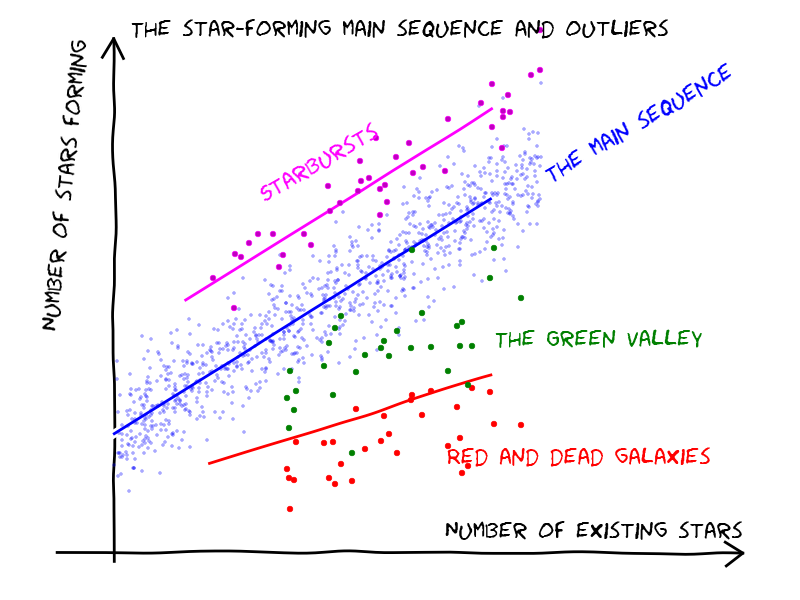 Note that the y-axis is reversed from Figure 1, so that bluer (higher SFR) galaxies are lower and redder galaxies are higher. This means that the “main sequence” is marked by the contours in the bottom left, while the “red and dead cloud” is marked by the contours in the upper right. Purple points are active galactic nuclei (AGNs). From Figure 2 of the paper. 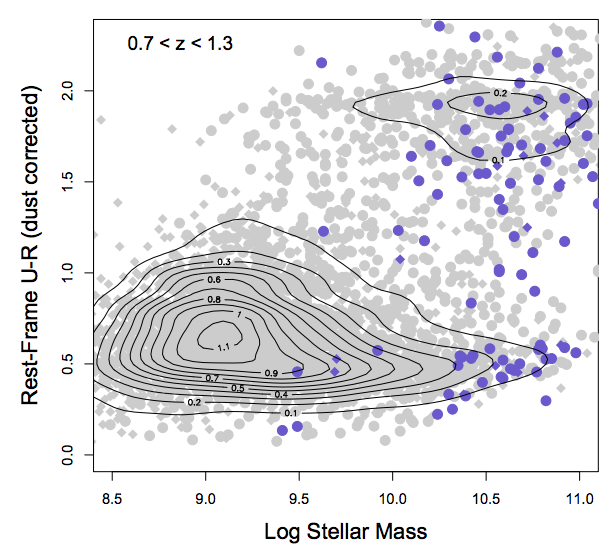 Figure 2 shows the color-mass diagram at z~1. Like Figure 1 (which is a cartoon of the z~0 color-mass diagram), it shows that the “main sequence” and “red and dead cloud” are mostly distinct. The main difference is that there are fewer “red and dead” galaxies than at z~0. This is probably because there hasn’t been as much time since the peak of star formation in the universe (which was at redshifts z~1-3) for galaxies to move away from the main sequence. Figure 3. Color-mass diagrams for bulge galaxies. The galaxies are colored by specific star formation rate, which is just star formation rate divided by mass. 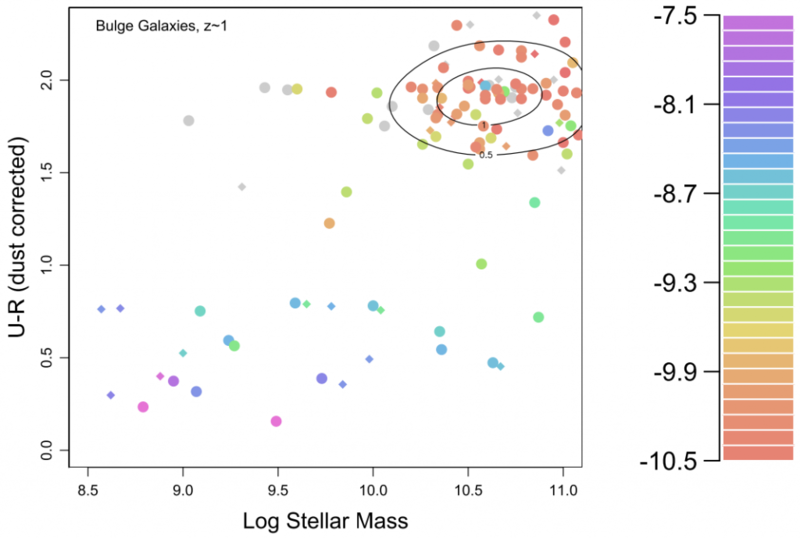 The color-mass diagram has been around for a while—but as today’s paper shows, it’s still an incredibly useful diagnostic tool that can teach us a thing or two about galaxy evolution.